As I've said in previous posts, the pace of beer-related happenings in Portland is crazy. We've just completed a summer in which invitations to special events flooded my inbox virtually every day. It was enough to make my head spin. Perhaps you've seen the Exorcist? In principal, all special events represent an opportunity for beer enthusiasts of all persuasions to mingle and experience good beer. Some events are highly organized and worthwhile; others not so much. It seems to me the various breweries and pubs that hold these events get out of them what they put into them. What's up with all this chatter? Clearly, the various beer-biz entities hope to promote their brand via special events. Which is fine. Here's a thought: If you plan to use special events or beer releases in this way, make sure they are well-organized and don't have an event every day or every week. Otherwise, there is nothing special about what you're doing. I traveled over to Concordia Ale House the other night. My neighbor, Mark Hall, has been a regular supporter of the various beer brawls they hold over there and I got involved a while ago. It's always fun. 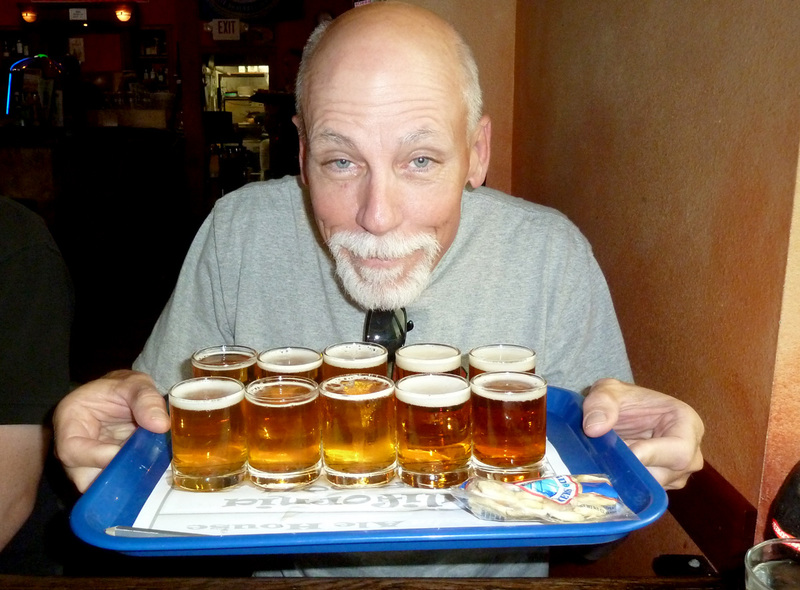 The California Cup is a competition between California IPAs. These were all standard IPAs...not imperials. They bring you a plate of 12 tasters. 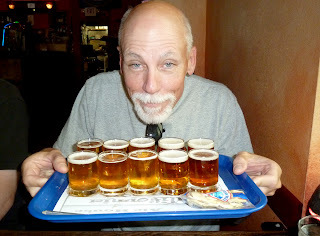 You have no idea what beers your are tasting. 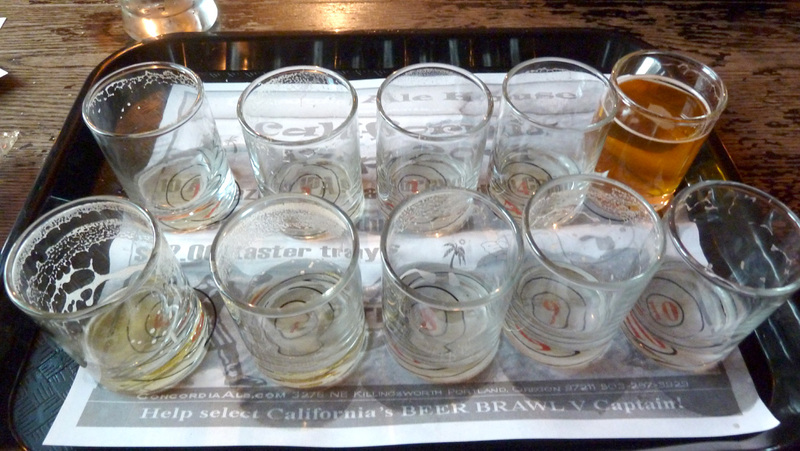 After you taste the beers, you vote for your favorite. They once had people voting for their top two or three, which must have created some tabulation issues...kinda like during a presidential election. Anyway, they now have you vote for only the beer you like the most. These IPAs were initially a bit too cold to evaluate. But they started to open up like little bottles of fine wine as they warmed up. It became apparent right away that one of the beers, #5, had something wrong with it. We all agreed it did not taste right. Because I have some expertise when it comes to making bad, infected beers, I concluded this was likely a bad keg. It turned out to be Bison Organic IPA. I've had this beer before from a bottle and it did not taste like this. 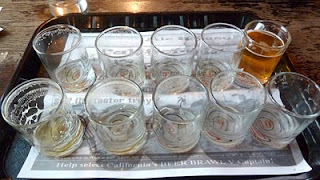 My top beers from the plate were #1 (Nectar IPA), #2 (Firestone Union Jack), #6 Green Flash West Coast IPA) and #8 (Mad River Jamaica Sunset IPA). I narrowed my choices down to a couple of finalists (#2 and #8), then selected #2. In fact, all of us at the table chose that beer. We also identified it as Firestone Union Jack. Go figure. Here's a link to list of the competing beers on Concordia's site: California Cup I'm not sure how long those will be posted, so hop over there soon if you want to take a look. One of the really cool places in Portland is Saraveza, which is a pub in North Portland. This place has a very heavy Midwestern theme, as internalized and visualized by owner Sarah Pederson. Check out the walls. They are covered with memorabilia honoring the Green Bay Packers and Midwest macro-beer brands Schlitz, Blatz, Miller, Schmidt, Hamms, Pabst Blue Ribbon, etc. And there's more. This place absolutely must be visited after dark. I'm serious. I showed up one sunny summer afternoon and didn't fully get what this place is all about. Stop by in the evening to fully appreciate the motif. They were doing a special tasting of Epic beers the night I visited. Epic is a Salt Lake City brewery and they produce some pretty damn fine beers. The Epic dude was going around pouring tastes and they had a couple of Epic beers on tap. Sarah is a trained brewer who decided to pursue the pub side of the business after stints at Hair of the Dog and Lompoc. 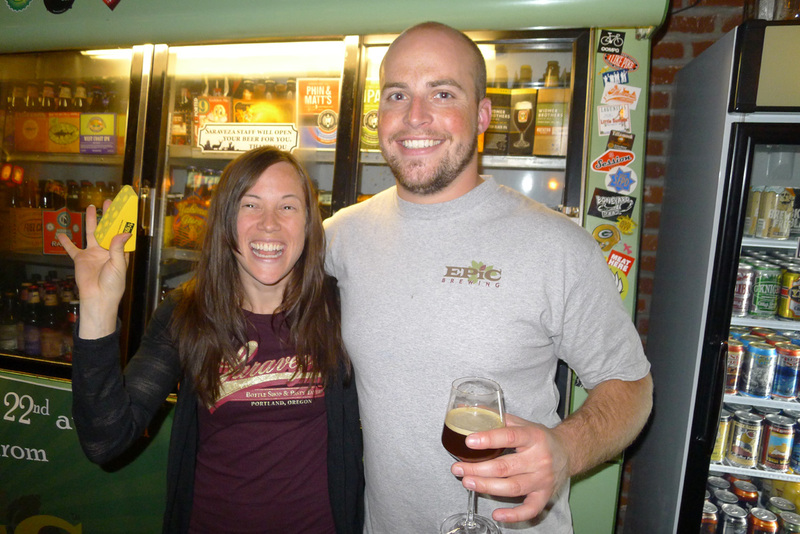 She was featured in the recent film, The Love of Beer, along with several other important Oregon women in beer. Saraveza has a great selection of beers. They've got a nine rotating taps that routinely showcase some of the best beer around. Then you have the coolers, filled with beers from Oregon and the world. 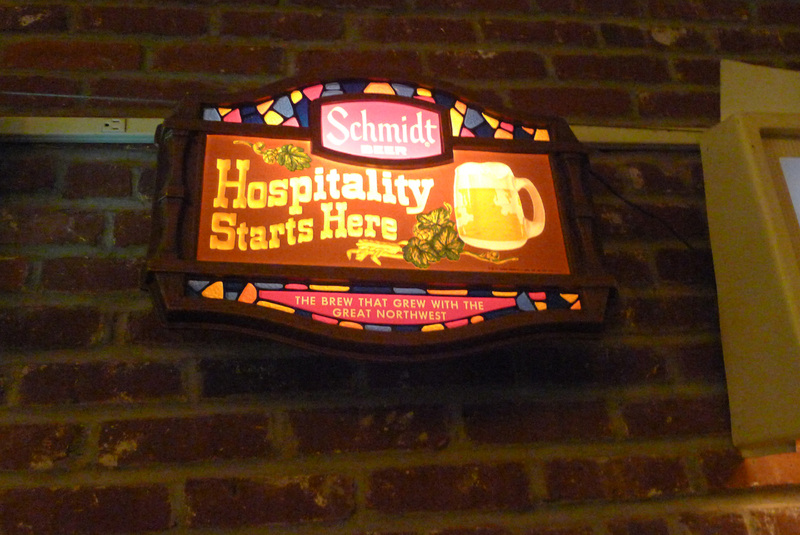 People who live up that way now have a perfect place to find excellent beer. Talk to Sarah if you get a chance. She has a very levelheaded attitude about Saraveza's place in the beer community and where special events like the Epic tasting fit in. "I hope we have a good reputation," she said. "Events like this [Epic] tasting are there to provide extra value for our customers. If we attract a few new people to the pub by doing something like this, that's great." Thanks, Pete. These look great.